The hot season has gone but it is still possible to taste summer-time Delhi. Just grab a kulfi, the Indian-style ice cream that comes in flavours like pista, rose, cardamom and saffron. 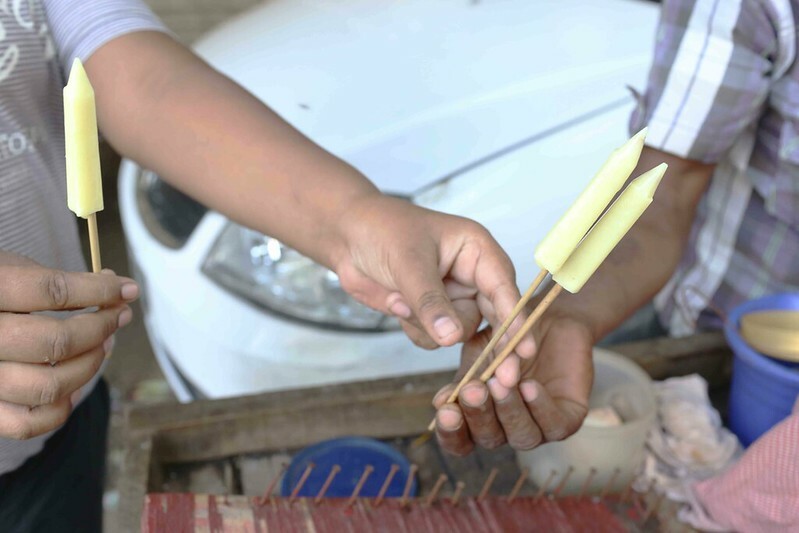 Unfortunately, eclipsed by brightly lit ice cream trolleys, kulfi-wallas have become rare, and the ones with something called game-carts still rarer. 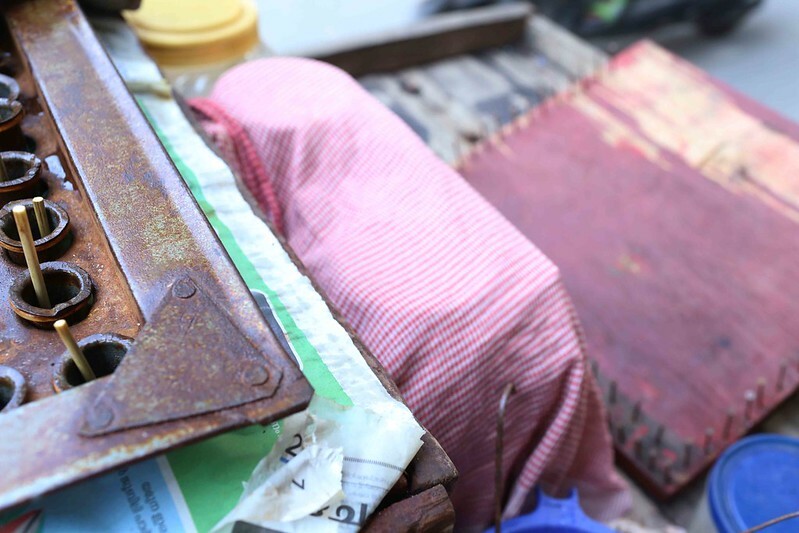 Gone are the days when children would run at the first sound of the kulfi walla’s ghanti (bell) to wake up mothers from their afternoon siestas and pester for a rupee. So don’t let the opportunity go if you see a kulfi cart fitted with a desi-style roulette wheel. 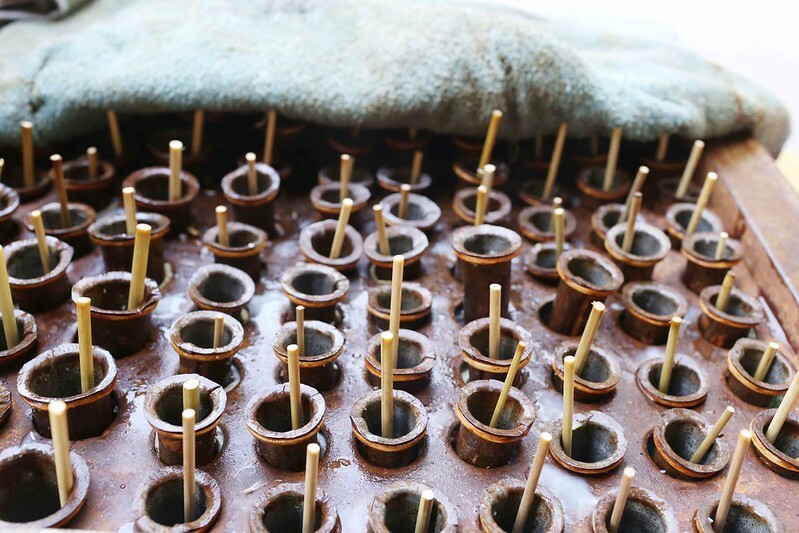 Drop a coin in the spinning wheel to win as many kulfis as the number on which it comes to rest. 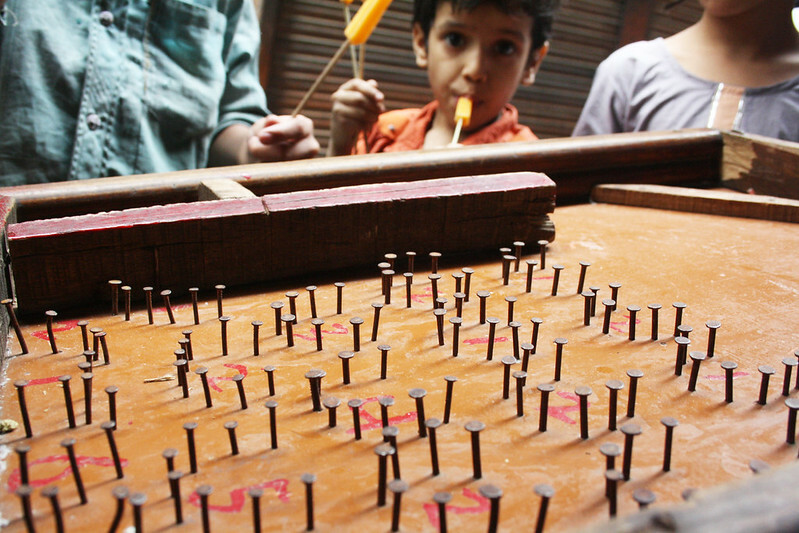 If it is the pinball game instead, pray the kancha (small glass ball) lands into the highest value square. So if it’s number five, you’ll get five kulfis. 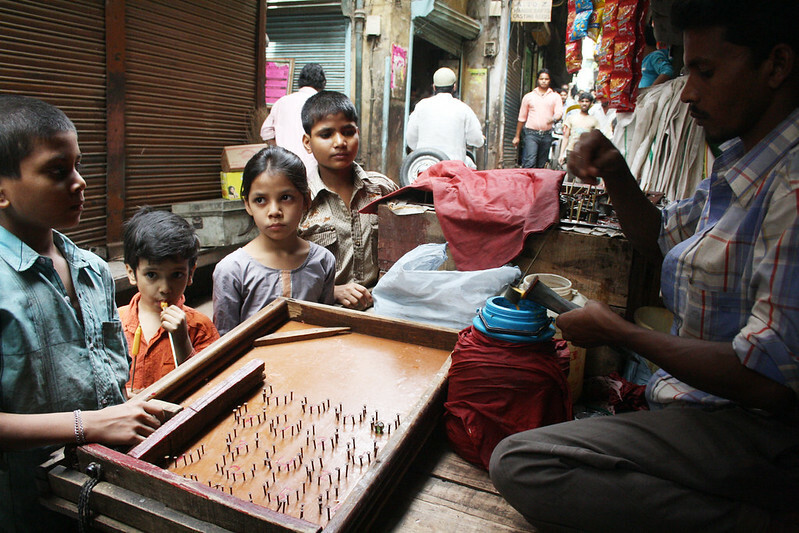 One summer afternoon years ago, The Delhi Walla discovered such a game-cart in a Bulbuli Khana bylane in Old Delhi. The neighbourhood’s children had surrounded the cart to play pinball. 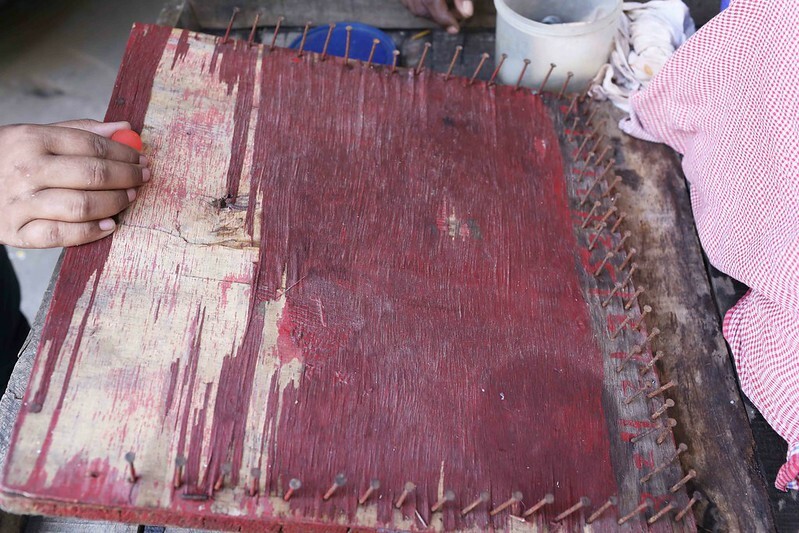 They were hitting the kancha by pulling a spring attached to a wooden block. 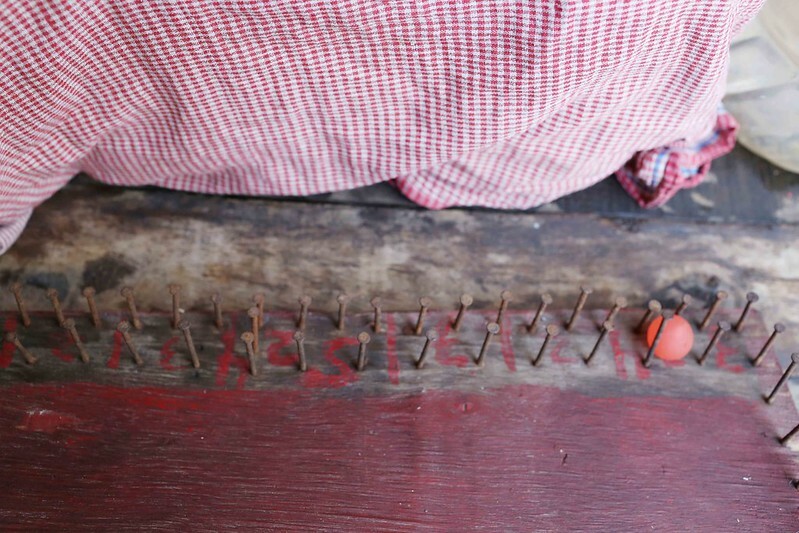 The kancha would shoot up, strike the boundary wall and roll down into an array of pins where it might fall into one of the spaces marked with numbers. Amidst much shoving, I too gave a coin and waited. My kancha reached close to a square that was numbered four but then it refused to move. 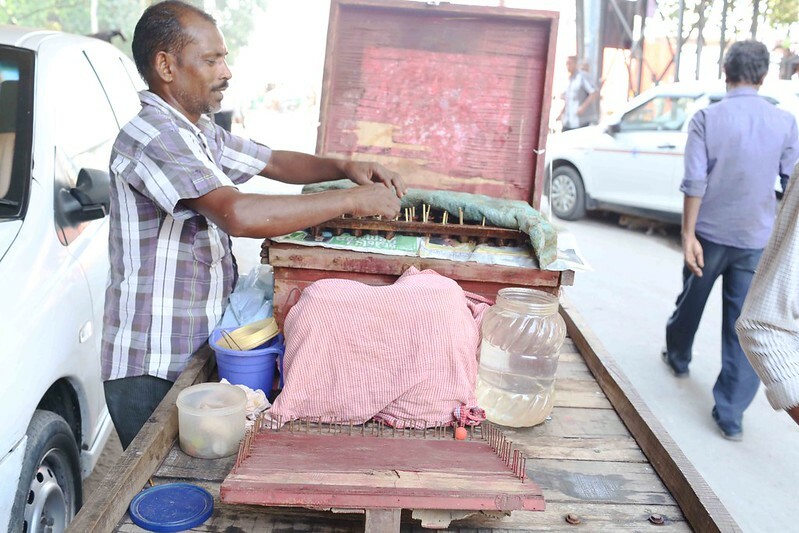 The kind kulfi vendor discreetly pushed it inside and produced four kulfis from his wooden ice-box. The winning trophies, dipped in milk, were cool, creamy, and sugary. I felt like a champ. 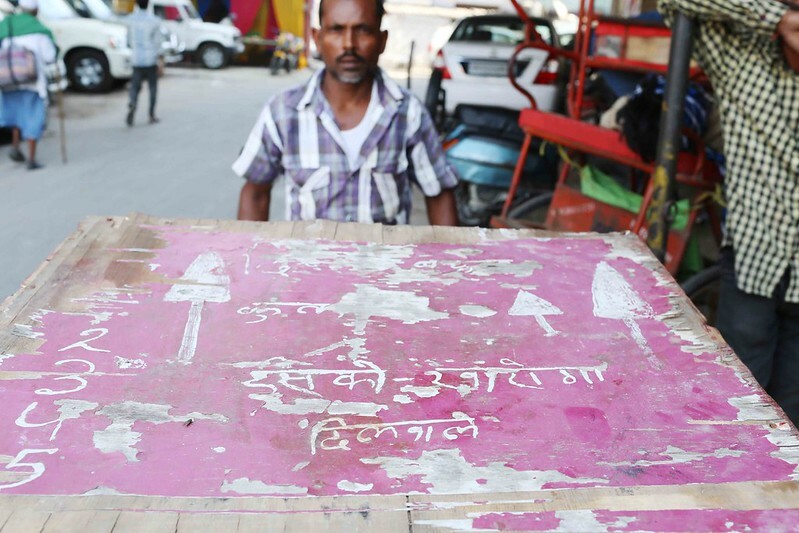 After all these years, on a recent cool morning, I again discovered a somewhat similar cart stationed outside the Delhi Stock Exchange near Ramlila Grounds. 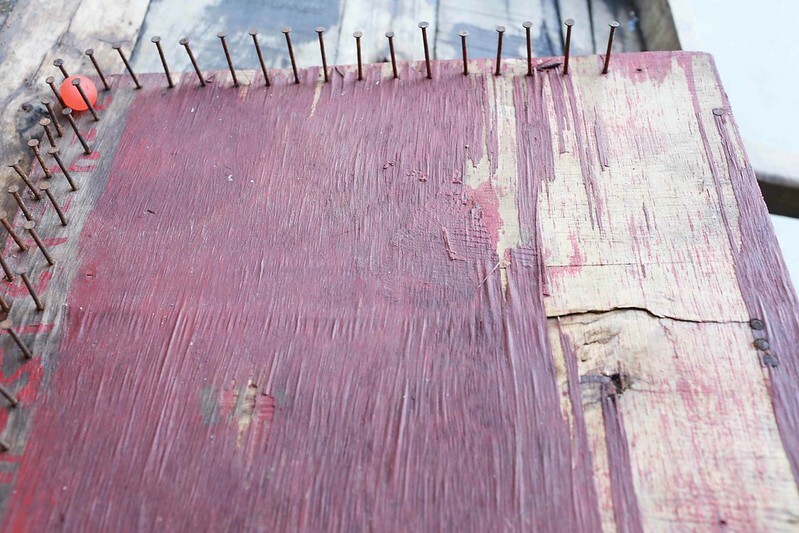 It had a chipped board with pins nailed along the sides, and there was a small plasic ball instead of the kancha. The spaces between the pins were marked with numbers. A boy walked up to the vendor, paid him a rupee coin, took the ball and hit it with great concentration. The ball rolled down to number six. 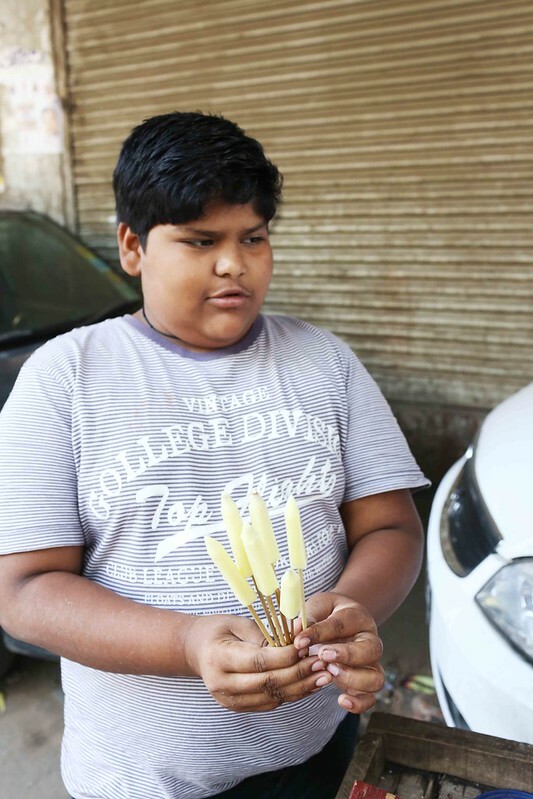 The boy got as many kulfis. The surest way to contract delhi-belly,jaundice and cholera. Number waali bimaari. LOL. Winner loses all… his lunch.